Free Newsletter: "OSHA Compliance News"
Is a twice-monthly newsletter that is chock-full of safety information you can't get anywhere else. By submitting this content request, I have legitimate interest in the content and agree that Institute of Business Publications, their partners, and the creators of any other content I have selected may contact me regarding news, products, and services that may be of interest to me. 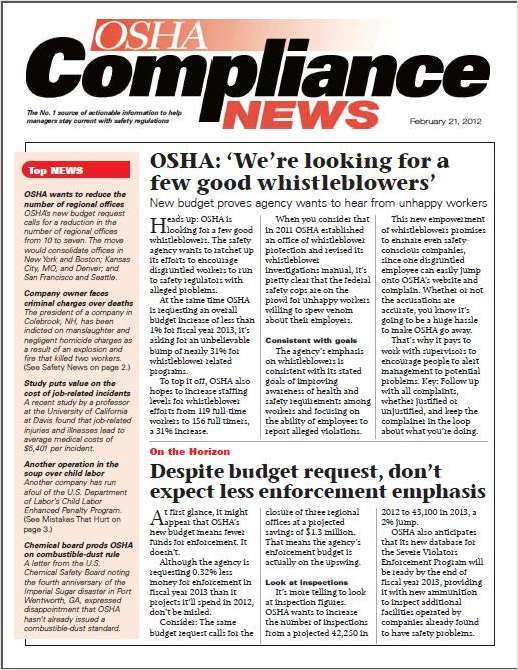 Do you wish to receive the FREE 4-issue trial subscription to OSHA Compliance News?